This time, however, the T20 series actually has some value, in that it represents a final warmup for the T20 World Cup. The tournament starts just six days after the third and final game of this series, giving both teams just enough time to stock on duty free gin before heading to Sri Lanka. As such, while the results might not be significant – the ICC number one ranking is only of interest to the Sky commentary team – the quality of performance will certainly be under scrutiny, especially for defending champions England. We’re not really gambling types at 51allout – last time we won some money Editor Steve simply claimed it for himself under his controversial ‘washing up tax’ legislation – but we’d probably have a few pence on Kevin Pietersen getting a mention within the first five minutes of the coverage. Even though he’s not in the side KP continues to dominate discussion. His replacement, Alex Hales, had a starring role in England’s only T20 since the Pietersen debacle and will be looking to build on that here. Along with Hales the real interest is around four ‘B’s – Bairstow, Buttler and Briggs are all looking to stake a claim in the starting XI in Sri Lanka while the curious case of Ravi Bopara looks set to rumble on. Bopara finished the ODI series with a series of batting performances that would have embarrassed Chris Martin (the New Zealand player, not the Coldplay singer, who clearly has no shame). And it’s not as if he (Bopara) has fond memories of playing in Sri Lanka – his debut Test series finished with three ducks as his game again crumbled. To put it bluntly, it’s time to score some runs. 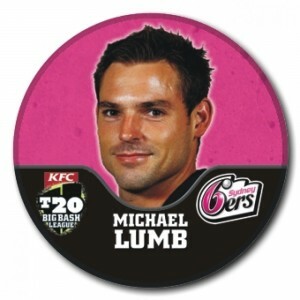 Another interesting option is the return of Michael Lumb, a man surprisingly selected for the last World Cup and unsurprisingly ignored since. We’re not sure what he did to win his place back but he’ll presumably be given a chance to bat at three. We’re not exactly confident of predicting England’s lineup though, so he could just as easily be on drinks duty. Presumably he was brought in to help shift some more of the Pogs that the kids are so wild for these days. As we’ve previously mentioned, South Africa’s ODI side is a curious mix of top quality players and absolute filth. The same is true of their T20 side, with Richard Levi’s ‘talents’ being the source of much discussion around the water cooler (it has tonic water in). Farhaan Behardien is another name in the squad that means absolutely nothing to us, but if he’s anything like Dean Elgar we could be in for a treat. Much will again rest on the tired shoulders of captain/wicket keeper/batsman AB de Villiers. Plus there’s another opportunity to marvel at Hashim Amla grinding England’s bowlers into the dirt yet again, as if that hasn’t enlivened the summer enough already. The return of Jacques Kallis will presumably be rather handy as well. Predicting T20 games is a mug’s game at the best of times. England to win the series 2-1, with Jos Buttler finally paying off our constant praise by actually scoring some runs for once (before going on to fail dismally in Sri Lanka). A suitably rubbish end to a dismal summer of cricket.